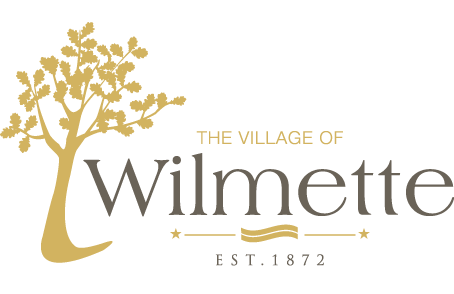 Dutch Elm Disease (DED) was first discovered in Wilmette in 1956. In September of that same year, the Village Board declared the disease a public nuisance, and implemented an active control program to minimize the spread of the disease. DED is a fungus that lives in the vascular tissue of American Elms and disrupts the flow of water and nutrients. The first noticeable symptoms of DED are yellowing, wilting and curling of leaves in isolated patches in the upper branches of the tree. The early symptoms of DED generally begin appearing in the month of June, and can continue to become evident through August. If you observe these symptoms on American elms located on the parkway, please contact the Forestry Division immediately at (847) 853-7600 or 853-7587 in order to confirm whether DED is present. The Village does scout for private DED trees along with its parkway trees. If a private property tree is determined to be severely infected the resident will notified of this fact in order to promptly remove the diseased tree per Village Code. Although DED is still a problem annually, the number of elms lost in recent years has been small in comparison to the peak die-off of the 1970s. Our current control efforts reduced the incidence of DED in parkway trees to a minimum. Residents can contact a private certified arborist to discuss preventative treatment options for DED to protect trees on their own property, or if they are interested in protecting an Elm on the parkway adjacent to their home. Please visit the International Society Arboriculture website, www.isa-arbor.com for a list of certified arborists that can be found in this area to assist you in assessing your trees further and scheduling treatment or removal options.